A superlatively sophisticated, unbelievably complex and high-toned nose of white flower, spiced pear, limestone, lemon zest and lavender aromas continues onto the almost painfully intense, detailed and pure medium full flavors that culminate in an understated but cuts-like-a-knife finish that goes on and on. 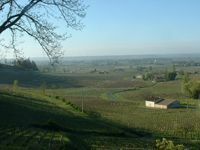 "Michel Niellon describes the 2007 vintage as one where “it had all the hallmarks of an early, and thus very ripe, vintage that turned out to be early yet anything but really ripe. To be sure, the grapes weren’t under ripe but usually when you’re harvesting very early, it’s because the weather has been very hot. Other than essentially having July arrive in April, the rest of the time the weather was cool, gray and wet, save for the last two weeks of August and the first half of September. "The 2015 Chevalier-Montrachet Grand Cru comprises of four barrels this year, one new and the other three one-year-old barrels (incidentally, it is never matured in 100% new oak). It has an austere, aloof bouquet despite vigorous swirling of my glass whilst I was chatting to winemaker Michel Coutoux. The palate is well balanced with a slight viscosity on the entry, notes of candied lemon peel, nectarine, dandelion and a pinch of spice towards the finish. It does not quite take off as I was expecting and I actually find as much pedigree in the Les Vergers and Chaumées this year. Still, let’s see what happens with bottle age.
" Pale, green-tinged yellow. Pure but subdued aromas of lemon, pear, menthol, wild herbs and crushed stone. Sweet, silky and fine-grained, with white peach and pear flavors showing a captivating light touch. Really spreads out and lingers on the firm-edged finish. This is distinctly more brisk than it appeared to be from barrel a year age and will need at least a few years of patience."